Our discussions with stakeholders across Stoke-on-Trent have had a strong common theme. The city has high levels of disadvantage; a mix of incoming communities and long-standing white British communities; and a distinctive geography and ’six towns culture‘ which can lend itself to insularity. Recent research conducted by the Centre for the Understanding of Sustainable Prosperity pinpoints that, although in the past many jobs were available for young people leaving school in Stoke-on-Trent, there are now fewer opportunities, and it is no longer possible to leave school without any qualifications and expect to obtain employment easily. The report suggests that more could be done in the city to support young people’s involvement with activities outside the classroom and to improve their exposure to business in order to enhance their employability and entrepreneurial skills. Success under this priority is fundamental to supporting young people’s choices and readiness for the world of work post-16, as detailed in priority 4. There are a number of organisations and individuals working to address this across the city. For example, the charitable foundations associated with the 2 football clubs in the city (Stoke City and Port Vale) are delivering a range of activities to improve outcomes for local children, from making sure they are fed in school holidays to building resilience and supporting their learning. National charities, such as the YMCA and the Prince’s Trust, are working in the city to help children and young people build essential life skills such as resilience, confidence and wellbeing. The Careers and Enterprise Company, the Local Enterprise Partnership, the Chamber of Commerce and Business in the Community are all actively working to build the links between employers and schools, and efforts are being made throughout the city to contextualise the curriculum, particularly English, maths and science, and to improve pupil engagement in schools. While these initiatives exist, not all the city’s children feel the benefits. 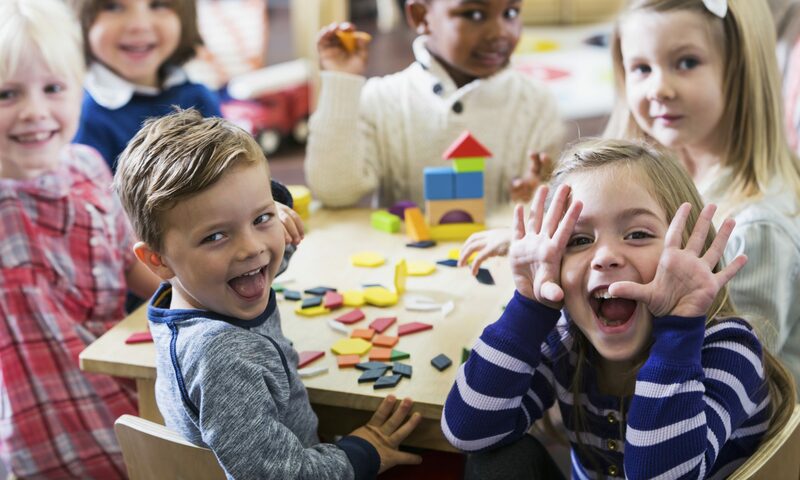 Partners suggest that there needs to be a more strategic, coherent approach to ensure that enrichment activities have a significant impact on children and young people’s engagement in the curriculum and their outcomes at level 2 and beyond. The impact of absenteeism on educational attainment can be catastrophic. We want to be confident that all the city’s children are engaged in education and are benefiting from opportunities to build their understanding of the world and of how to achieve their aspirations. We’ll offer enrichment activities outside the classroom to ensure that children and young people are switched on and ready to learn, and we’ll work to reduce absenteeism and fixed term exclusions. We’ll put in place 3 strands of work to realise this ambition with a particular focus on disadvantaged children, including those in Alternative Provision (AP) and those with Special Educational Needs and/or Disabilities (SEND). The Department for Education is committed to ensuring that children and young people develop essential life skills such as resilience, confidence, team working and leadership, both through the curriculum and extra-curricular programmes. As part of this, Stoke-on-Trent has a dedicated budget of £2 million over 2 years through the Essential Life Skills (ELS) programme. We will use this funding to provide additional extra-curricular activities for up to 3,500 of the most disadvantaged children and young people in Stoke-on-Trent. They will benefit from structured, regular activities throughout the school year, including participation in sports, culture, the arts, volunteering, and social action projects. We’ll build up our provision of these and actively target the most disadvantaged children and young people. In doing this, we’ll learn from the best of what is already available in the city and make sure the communities that are most in need can access it. We know that children benefit most from such activities when they are clearly linked to their learning, so we will have a strong focus on working with schools to provide activities throughout the academic year. Over holiday periods, we know that some pupils may lose progress they gained throughout the academic year, and begin to disengage from education. In our city, we know that some children will also go hungry. We’ll harness the energy and commitment that currently exists across the business, education and voluntary sectors in the city by offering activity throughout the holidays in the most deprived wards. We’ll build on the success of the 2017 Holiday Hunger programme, extending it to include cultural and sporting activities. These activities will link back to the curriculum, ensuring that children and young people lead active and healthy lifestyles and sustain the progress they made in education throughout the school year. We want pupils to develop skills for work and life beyond school through volunteering and social action projects. Building on consultations with the local authority, the National Citizen Service will introduce programmes that support the curriculum, particularly in those critical subject areas identified in our second priority by working with local organisations and businesses. The National Citizen Service will also aim to deliver an extension of some elements of the programme to younger secondary school pupils, to increase resilience and commitment within these younger year groups. establish the foundations of an effective city-wide approach to raise aspirations for Stoke–on–Trent’s children by September 2018. In 2016, there were nearly 300,000 sessions missed in primary and over 170,000 sessions missed in secondary. We’ll reduce unauthorised absence rates by half in primary school (to 150,000) and by two-thirds in secondary schools (to below 57,000) so that Stoke–on–Trent is in the top half of all local authority districts for pupils regularly attending school.